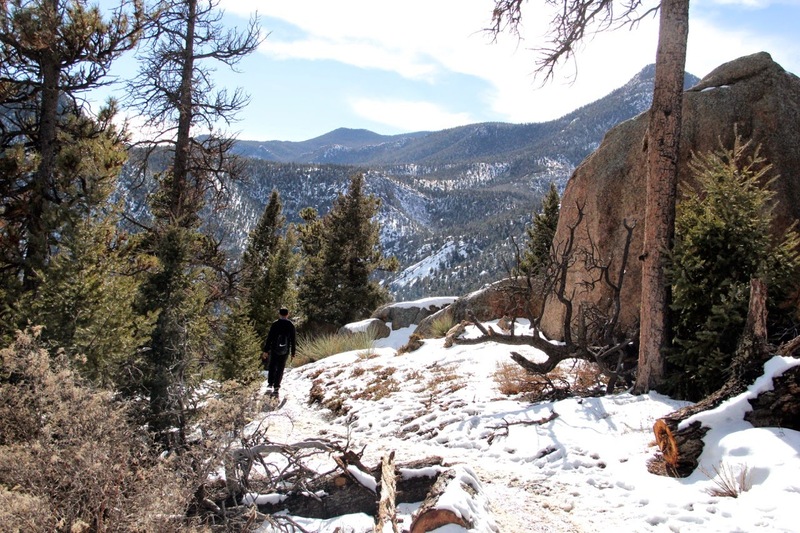 Colorado springs is a heaven for those who love hiking and skiing. Ten years ago, it was here that I did my first long hike up a mountain. 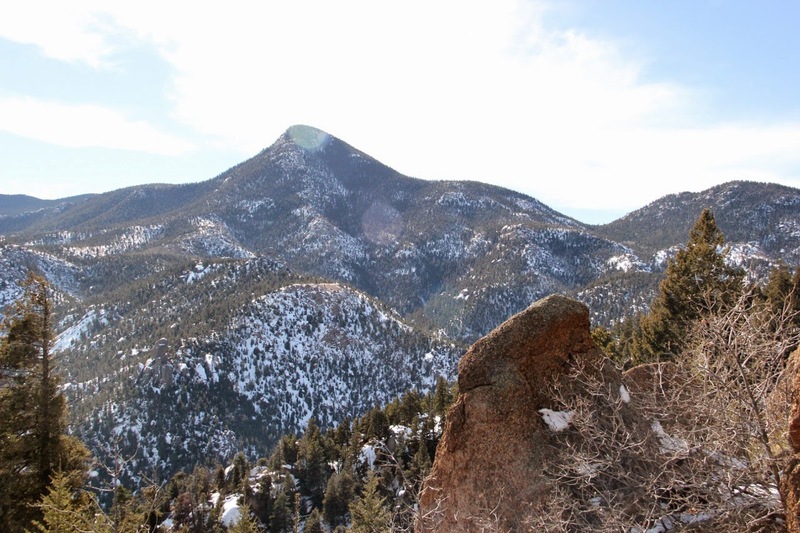 And that too a fourteener. But being here in winter, the options are always limited. 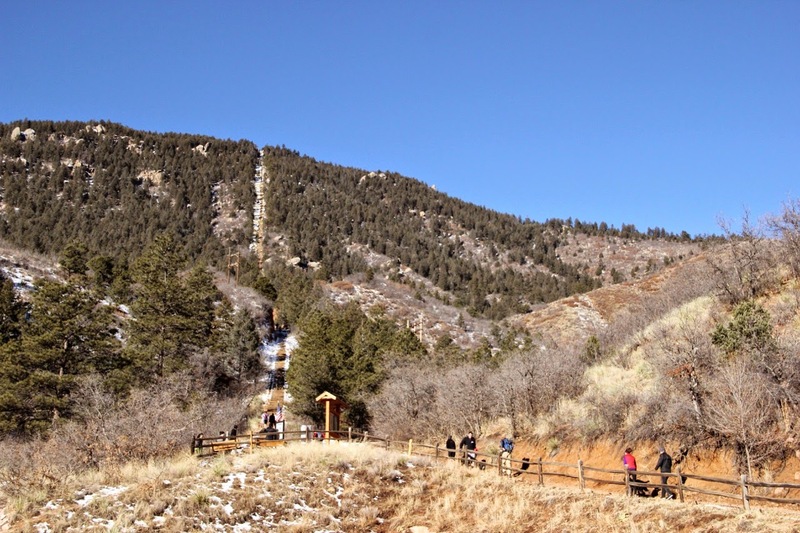 But I was lucky to see some bright days when I arrived and I definitely wanted to do the Manitou incline that many have been talking about. 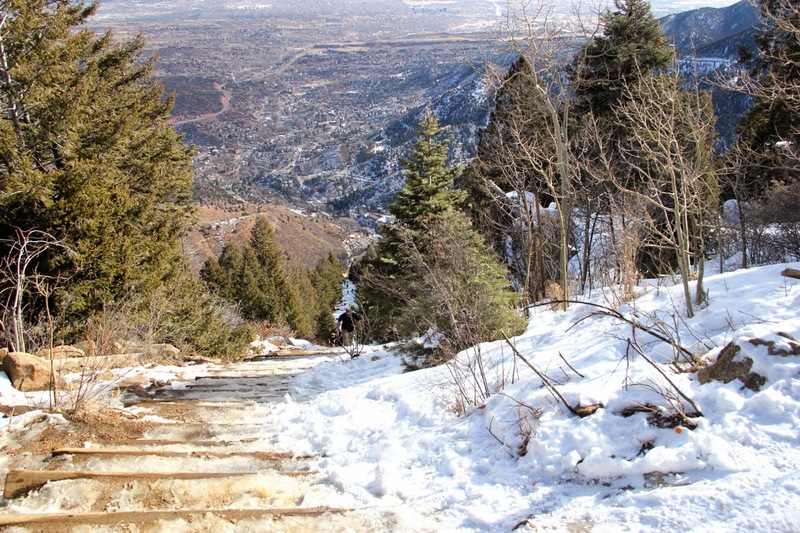 So on Sunday the 25th of January, giving snow an extra day to melt, Abdul and I decided to hike up the incline. "The trail is the remains of a former 3 ft (914 mm) narrow gauge funicular railway whose tracks washed out during a rock slide in 1990. 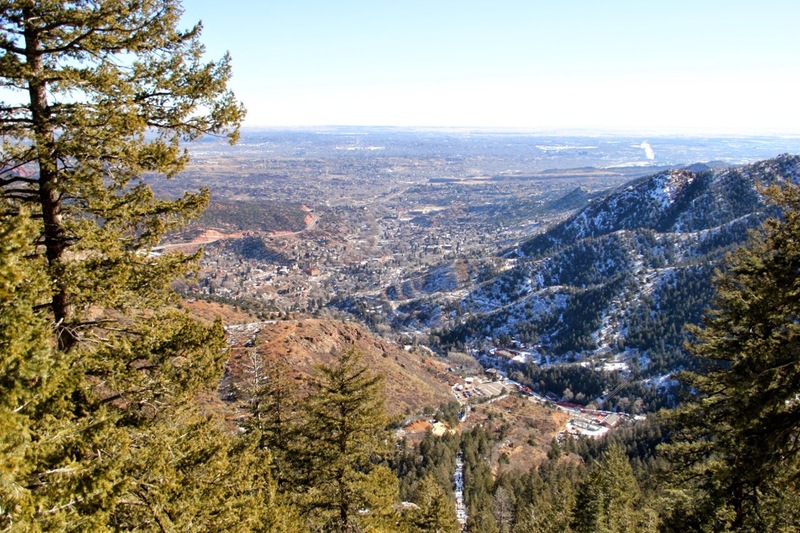 The Incline is famous for its sweeping views and steep grade, as steep as 68% in places, making it a fitness challenge. 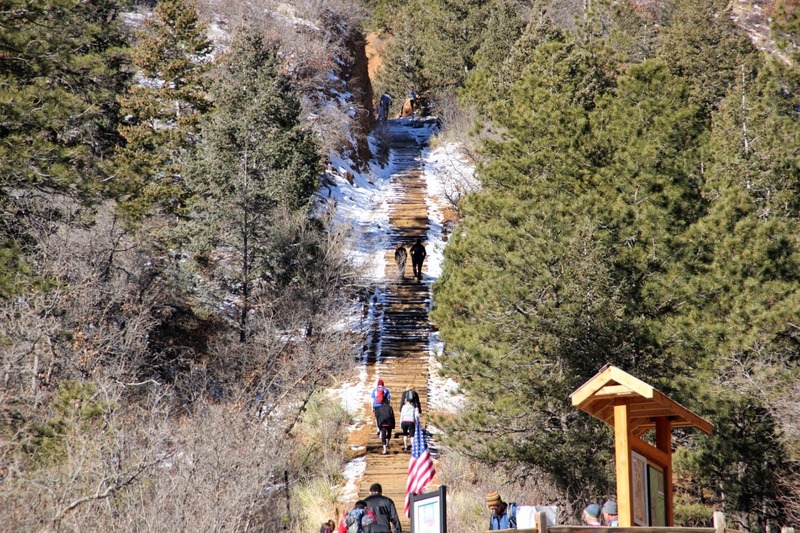 The incline gains over 2,000 feet (610 m) of elevation in less than one mile." 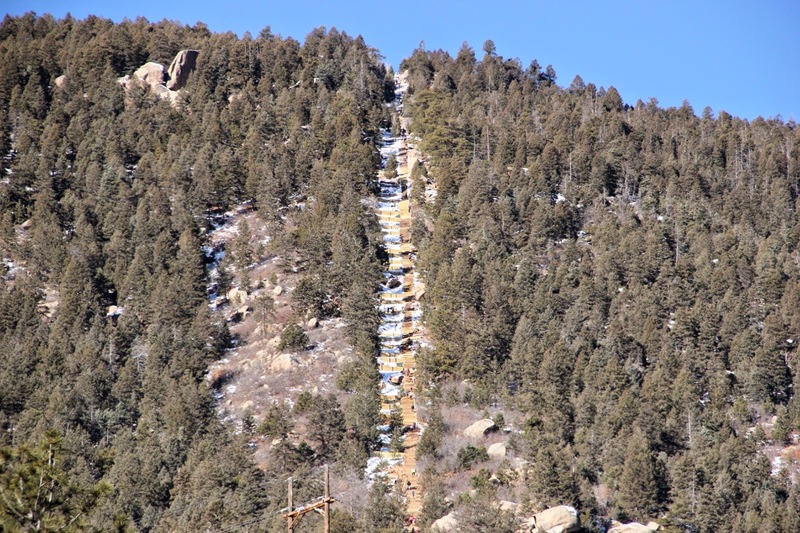 " The Manitou Incline was built as a cable car to carry materials to build pipelines on Pikes Peak. After the pipelines were finished, it was turned into a tourist attraction. 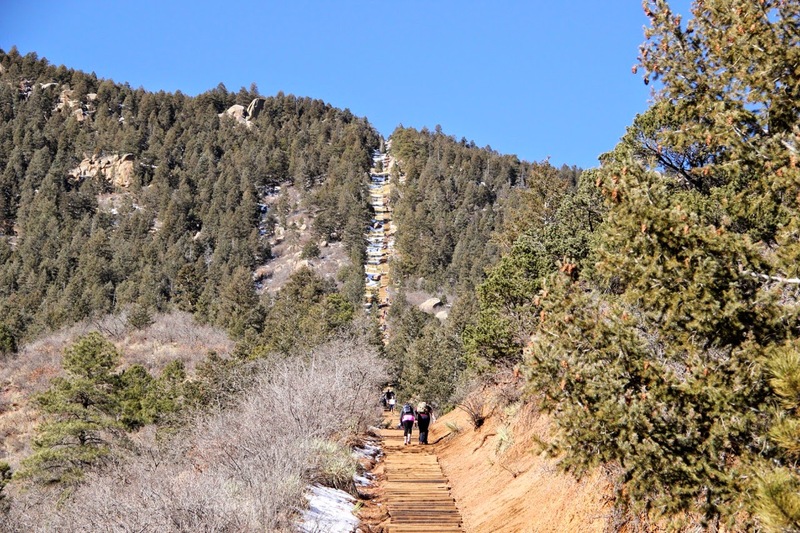 After a rock slide damaged a section of track in 1990, the Manitou Incline was closed down and the rails removed. Some locals started hiking up the remaining ties for a tough workout even though it was illegal because of crossing private property. 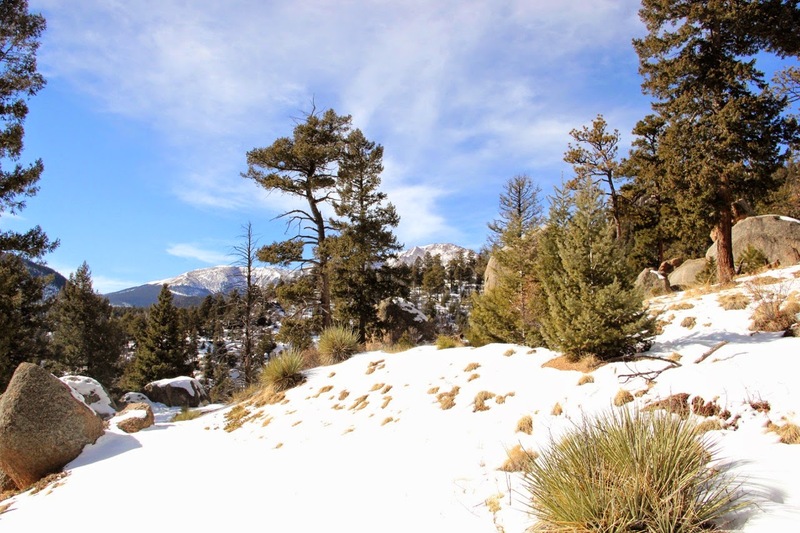 As of February 1st, 2013, it is legal to hike." Just as you reach 7 hydro street in Manitou Springs, you shall see signboards for parking. Take the first one that says "For cog rail and incline hikers". You can buy a ticket using a credit card. The ticket is valid for 3 hours only. Since I had to wait for Abdul, I went to the authorities and checked if it would be okay if we exceed the time. He said I should be perfectly fine and they normally give some extra time. At first look the incline seemed moderately difficult. But my heavy breakfast made the first fifteen minutes slightly tough. A lot of people were hiking this day. Some regular hikers ran, some struggled and some even puked. The first few steps were covered with snow and hence was slippery. There was an old man struggling his way up. As i took rest, he said to me - "A camera here would only get butts ahead of us climbing uphill". I laughed so much on that comment. "If you need some motivation to climb, there you go", he adds. It is interesting to see how everyone interact with each other here making the hike more enjoyable and in someway make everyone feel connected to this moment together. Second half of the hike was much easier and we finished in 1.5 hours. It was awesome. The feeling you have when you have reached the top is just amazing. It was fun to watch little kids walk up and some dogs run up. Many gave up midway, many refused to start. We took the barr trail half way down and then took the steps. 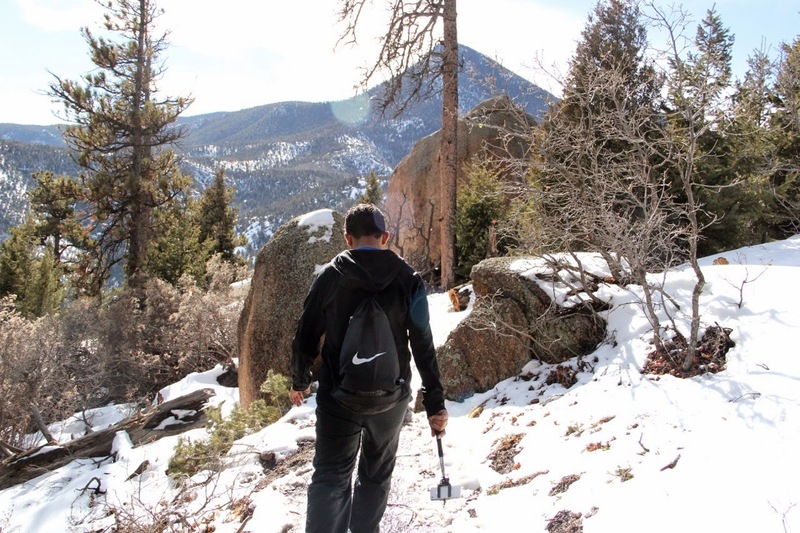 Barr trail had lot of ice and was very slippery. But taking the steps for the next half was not that of a good idea. The snow on the steps slowed us down. But it was a different experience. Its a tough one but if you have done it once, you should get an idea to reach the summit in the time you plan. If it were summer, I would have been here every other day.But unfortunately, it gets dark here by 5:30 PM. I might try to do this one more time before I head back to India, if not there is always an other time!